I love running my website. As you all know, it’s my running diary, my voice, my therapy. Not only that, I get free stuff. Apparently someone out there is keeping tabs on the grooviest websites in cyberspace because I get free giveaways all the time… and when I get free stuff, you get free stuff. 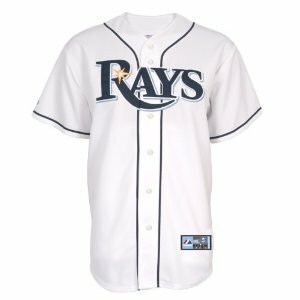 This time around, the good people at Majestic are offering up a brand, spanking new 2015 Cool Base Jersey that I’ll be able to wear to the Trop to see the Rays lose 90 games this season. It’s okay though. Chicks dig an underdog. In a few more years, I’ll be able to wear my Majestic Rays jersey around town and inspire locals to reminisce about the days Tampa used to have a baseball team. It’ll be a collector’s item. What can I say? I’m a slave to fashion. Please peruse their website for more sweet deals and FOLLOW THESE INSTRUCTIONS CAREFULLY. All I need are 100 people to click on this URL. Find the drop down box that mentions you were referred by SportsChump.net and you will be eligible to win your own free jersey. That’s right. One of my lucky readers will be wearing a brand new Major League Baseball jersey just for visiting their website. I’d like to thank Majestic Athletic once again for their graciousness in hosting this contest. May the most deserving reader win! 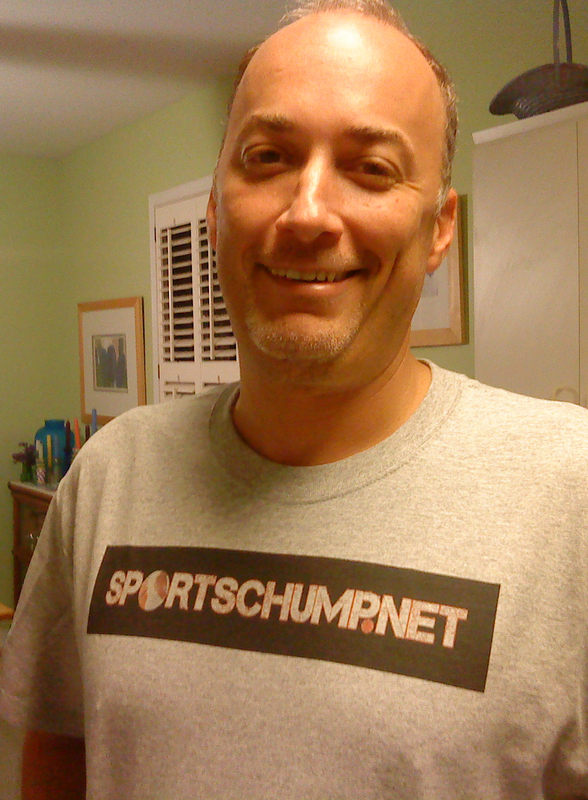 This entry was posted in Diamond, Featured, Life of Sports Chump and tagged Majestic, MLB, Tampa Bay Rays by Chris Humpherys. Bookmark the permalink. Boom – done! Sorry, I won’t be choosing the Rays jersey, but I suppose you already knew that! I can’t wait to hear who wins the jersey. Majestic told me if I get 100 people to sign up, one of them is a guaranteed winner. Otherwise, you all get entered into the pool with everyone else. I told them getting 100 shouldn’t be a problem. I’ve also asked them to keep me updated on how many were referred by the Chump. I got my jersey in the mail today, Dee. Best of luck, karaoke queen. Thanks Majestic & thanks to the Chump. It’ll go great with my SportsChump Tshirt. I’m trying to get to 100 so one of my peeps can win.